Are Personal Injury Payments Considered Income for the Bankruptcy Means Test? When federal lawmakers rewrote the bankruptcy law in 2005, they set up a means test for debtors filing for Chapter 7 protection. The means test qualifies you for bankruptcy protection; if you don't meet the guidelines for Chapter 7, you can file instead for a Chapter 13 bankruptcy, which sets up a partial repayment plan. In the means test calculation, you may need to include lump-sum or structured settlement, or periodic, payments you receive from a personal injury lawsuit. As of 2005, federal law puts restrictions on who may qualify for Chapter 7 bankruptcy protection. Before filing a petition, you must submit your income to a means test. You add up your income for the six months prior to filing and then divide by six to arrive at your current monthly income. If you are below the median income level in your state for a family of your size, you can proceed with the Chapter 7 bankruptcy petition. If you're above the median, you may still qualify depending on the amount of your household expenses and debt payments. If you don't qualify for Chapter 7 protection, you may proceed with a Chapter 13 filing, which uses a means test to determine how long you will have to complete a repayment plan. You must include income from any source, as long as the income is non-exempt. Non-exempt income includes salary, wages, investment income, child support, personal loans, gambling winnings, unemployment compensation and workers' compensation settlements. Exempt income for means test purposes includes Social Security benefits or compensation you received as a victim of a war crime or act of terrorism; some states also exempt unemployment compensation. You must include settlements from personal injury lawsuits if you received the money within the six months prior to filing for bankruptcy. The law considers PI settlements as non-exempt income in bankruptcy; this is true for lump-sum payments that you receive all at once as part of the settlement, or structured payments that you received periodically within the last six months. Use Schedule 22A to declare your last six months' income and your calculation for the Chapter 7 means test and Schedule 22C for a Chapter 13 filing. Personal injury settlements are included in Section 10 under "Income From Other Sources" on Schedule 22A and in Section 9 on Schedule 22C. If you received a personal injury settlement prior to six months before filing the petition and you retained any of that money, you need to include that amount in the assets you list on Schedule B, but it does not figure into the means test calculation. In addition, you must include personal injury settlements on the Statement of Financial Affairs, another detailed form required when you file for bankruptcy. The form includes income you received within the two years prior to filing. If you file a joint petition for bankruptcy, the form must include any settlements received by either spouse. The law also requires the disclosure of all lawsuits to which you have been a party within a year of filing the bankruptcy petition. If you have a pending personal injury lawsuit when filing for bankruptcy, the bankruptcy trustee steps in as the "party in interest," and any settlement is subject to the approval of the bankruptcy court. The proceeds of the settlement can be seized and liquidated by the trustee for your creditors in Chapter 7 or claimed by the Chapter 13 trustee to be used to repay your creditors. Under either bankruptcy proceeding, you can ask the court to exempt settlement income if it is necessary for your basic household expenses or is compensation for the loss of current and future earnings. What Happens if You Are in Bankruptcy and Win the Lotto? Does the Trustee Have Control of Money Made After Filing? 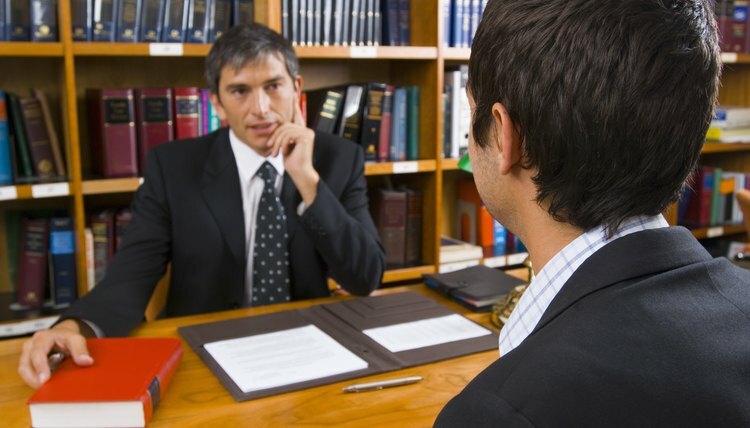 When you file for bankruptcy, a trustee is assigned to your case. The trustee oversees the process and ensures compliance from the time you file the petition to the final discharge. In a Chapter 7 bankruptcy, the trustee will seize any income earned up to the date you filed your bankruptcy petition and use it to pay your creditors. In Chapter 13, the trustee will instead take your disposable income every month and pay your creditors over a three-to-five-year period. Filing for bankruptcy means asking a court to protect you from creditors and either cancel or reduce your debts. There are forms to file and schedules to fill out; you must disclose all creditors, debts, income and assets. Carrying through on a bankruptcy case can be difficult and time-consuming; if you receive alimony, the picture may get even more complicated. Do LLCs Have to File a 1099? One of the major benefits to organizing as a limited liability company, or LLC, is the advantage of pass-through entity federal taxation. LLC profits are only taxed by the IRS once, on the tax returns of individual LLC members. However, the advantage of pass-through entity federal taxation does not exempt an LLC from the IRS's stringent reporting requirements, and an LLC must use IRS Form 1099 if it pays income to individuals other than wages, salaries and tips. Can a Trustee Take Your Workers' Compensation Settlement After a Discharged Bankruptcy? Is Social Security Included in the Means Test for Chapter 7?